Apple had its big Worldwide Developers Conference keynote last Monday. What did you think about the announcements to iOS, macOS, watchOS, and tvOS? 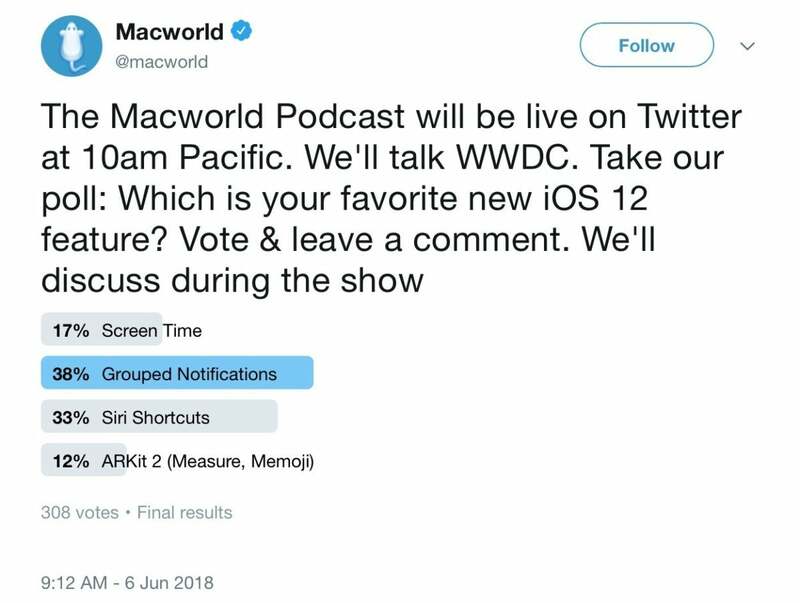 We also talk about various other Apple news and feature your comments and questions for Jason Cross, Roman Loyola, Adam Patrick Murray, and Michael Simon in the Macworld Podcast, episode 608. Which new iOS 12 feature is your favorite? Here are the result of our Twitter poll.